DAILIES® AquaComfort Plus® Pack features three moisturizing agents for superior comfort upon insertion and excellent comfort during the day. These lenses will require a new prescription for patients wearing Focus DAILIES. 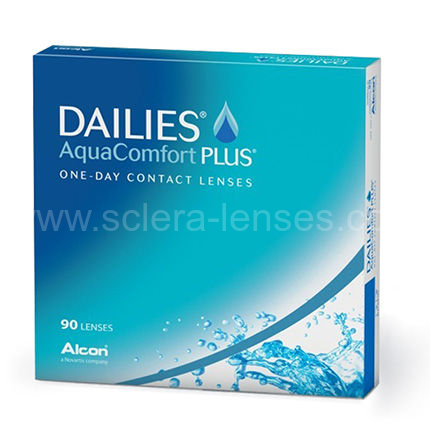 They are manufactured by Alcon. They will give you crisp and clear vision. They have blink-activated moisture technology for refreshing comfort all day.